Love and War: A Manual for Life in the Late Middle Ages, National Gallery of Art, Washington, 1998-1999. Landau, David and Peter Parshall. 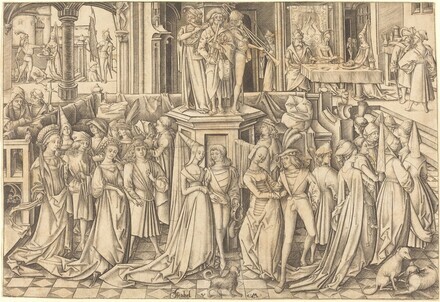 The Renaissance Print, 1470-1550 New Haven and London, 1994: fig. 36.